In other words both true and False results can be inferred from a true statement, and only false results can be inferred from the initially false statement. In the case if false assumption results into a true statement, the logic is non-existent, and your core beliefs are fractured, might as well be the end of the word, or for the devil to exist. Can you guess the value of $var2? 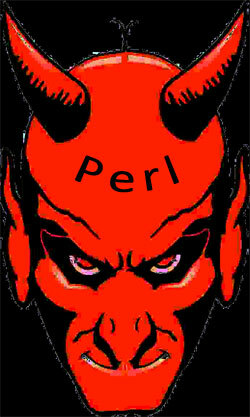 The value is false, this is the proof that Perl is evil, and human race should avoid it. This is the prove that the condition when logic stops working and devil exists, consuming your reality and beliefs.